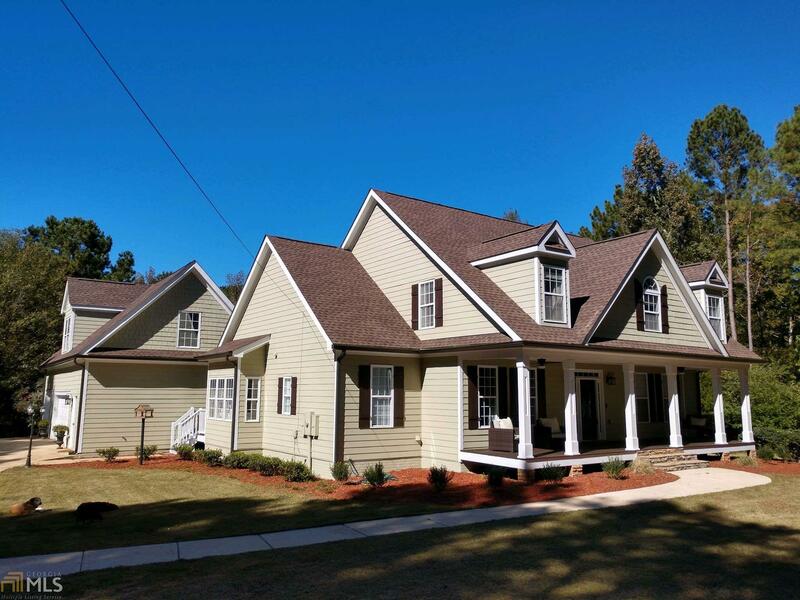 GORGEOUS HOME on 5 acres, New roof, new gutters, fresh exterior and interior paint. New carpet. Peaceful and private setting in White Water School District. Beautiful custom design cabinets in open concept kitchen. Buffet style island is perfect for entertaining. Extra large master on main, Bath with double vanity, Jacuzzi Tub and a large double walk in closet. Upstairs Features 3 Large Bedrooms, with walk in closets. A separate set of stairs leads to Bonus Room or 5th Bedroom with a Full Bath. French Doors leads to covered deck overlooking Lagoon Style Pool and private backyard. Full unfinished basement, stubbed for a bath and french doors leading to pool area with a large covered patio. Large 3 car garage. Prime Location, Seller Motivated, Make Offer. Directions: Hwy 85 South, Turn Left On Rising Star, Turn Left On Matthews Road. Gps Or Maps.